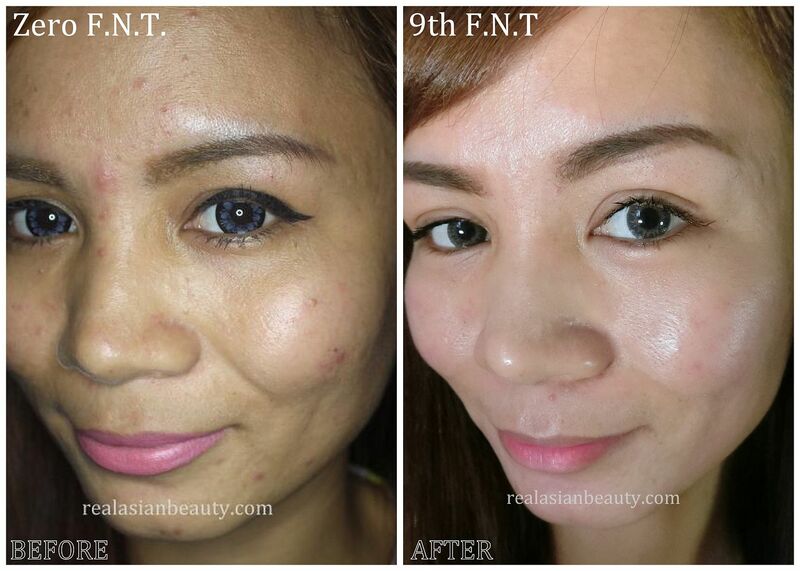 Real Asian Beauty: Face Update : 9th Session of FNT (Fractional Needling Therapy) at Flawless! 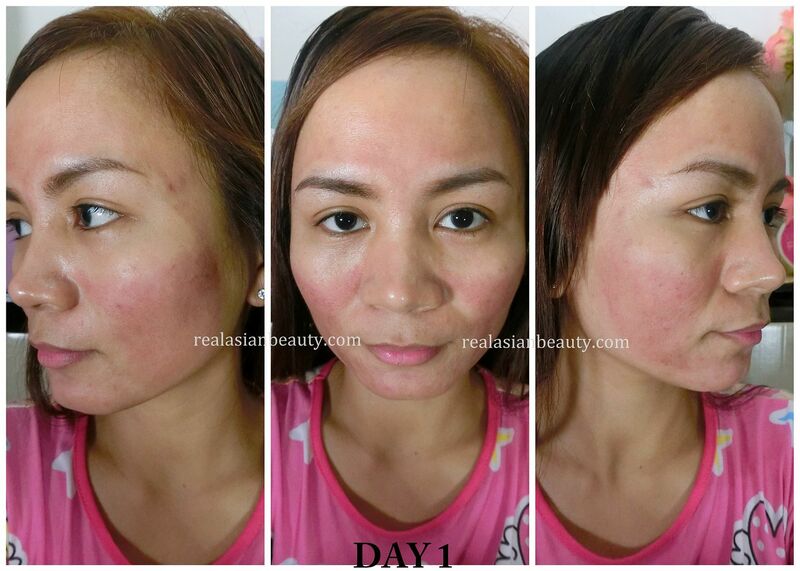 Face Update : 9th Session of FNT (Fractional Needling Therapy) at Flawless! A lot of you have been asking me for an Updated Skin Condition post. The last time I posted about FNT was when I had my 4th session. I apologize for making you wait. 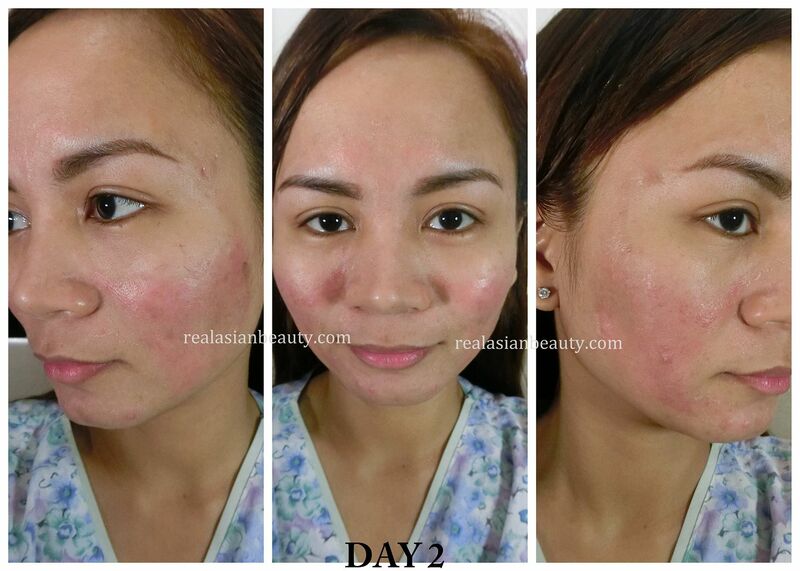 Anyway, last week I had my 9th session of FNT or Fractional Needling Therapy at Flawless. This is how my skin looked right after my 9th F.N.T. session at Flawless last week, 4th week of January 2016. It was super red, and yes, scary! *I put watermark on my face area to prevent online shops from using my acne and skin photos to promote their products that I never use. This photo was taken the day after I had the FNT. As you see in the picture, my face was red all over. The areas where the doctor treated well are more red compared to other areas. I have extremely visible pores on my cheeks and on the temple area so I always ask my doctor to treat those areas well. Because it could still be stingy when you wash your face, be sure you only use mild facial cleanser. Avoid using any products that have scrub beads or salicylic acid. The first day is probably the worse stage of the down period so I suggest having your FNT done on a weekend or on your day off work or school. TIP : I use Cetaphil Cleanser whenever I get F.N.T. treatment because the cleanser is mild and gentle. It only takes away the dirt and impurities without irritating or leaving any harsh chemicals behind. TIP : Flawless will prescribe you to get the Erythromycin Post Cautery Cream after an F.N.T. treatment. It costs around Php 350 and would last until your 4th session. This cream will help ease the redness, will make it heal faster and it will also prevent irritation. On the third day, the peeling would be lesser depending on how much dead skin layer you have to shed off. I have bad skin and I didn't have FNT for few months so the peeling was quite intense. But as I have mentioned above, I peeled my skin by force so it looks better by the third day. However, if you look close enough, you will see that it left some red marks on my face. (3rd right photo, my left cheek) The peeling and dark/red spots were not there anymore but it is still reddish because of force and too much rubbing that I did the previous day. So, please don't do that! On the 4th day, you will be able to go out of the house without being conscious of your face. Peeling and Dark/Red spots won't be there anymore but the face would still be a bit reddish. It's still still advised to keep away from the sun and only use light makeup. Avoid foundation and powder if possible and just use a tinted moisturizer with SPF. 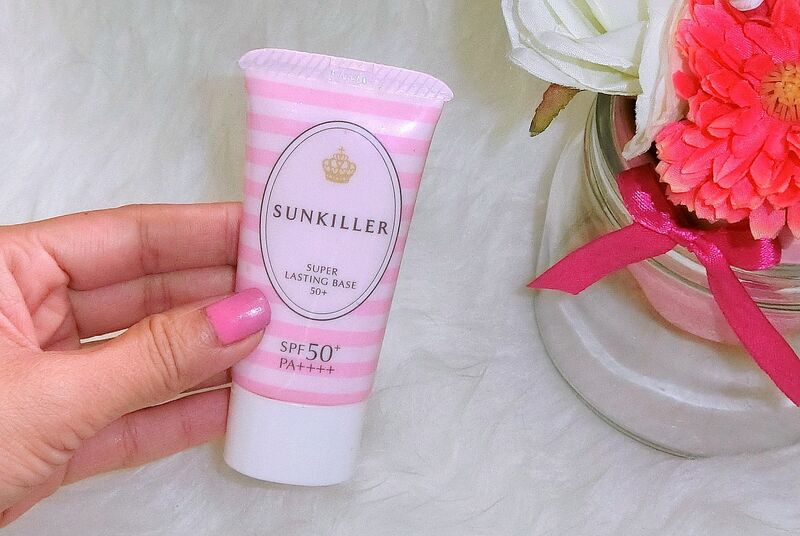 TIP : I like using tinted base/sunblock like this product. This is a Japanese brand and it also acts as a good makeup base. But on days when you can't wear or too lazy to apply makeup, it's good enough as a product to cover some spots and act as a good sun protection. On the 5th day, you can already see the glow in my skin! My skin also appears tight and refreshed now. I only did my brows, eyes and lips but did not apply anything on my face. (No toner, moisturizer, sunblock, etc.) But my skin looks as if it is tight and the pores became less visible! The 6th day (or 7th for some people) is the day when you would feel the most prettiest! It is the day when all of the down time would pay off and you could say hello to a more flawless skin! Like the other photos, I only did my brows, eyes and lips but no product was applied on the skin. But if you look closer, you will see that the pores have become tighter and less visible. The peeling and dark/red spots are no longer there. 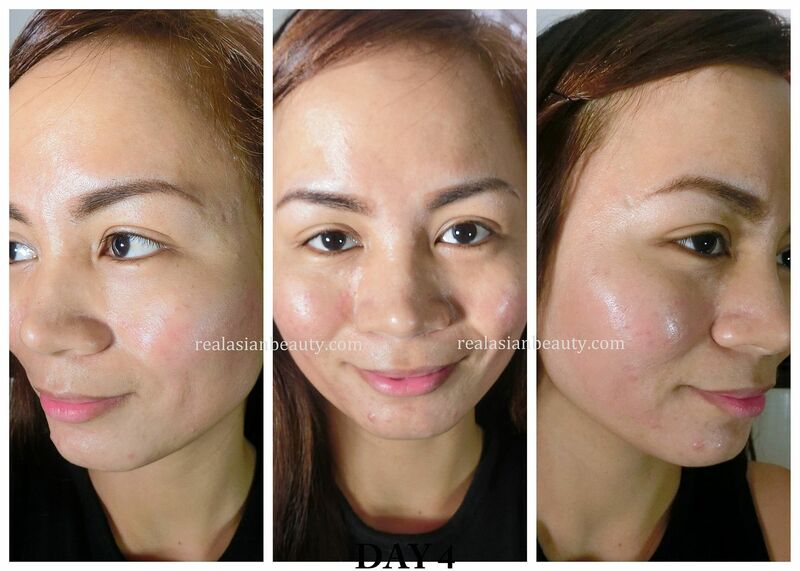 You can also go back to your regular skin regimen and do your favorite makeup routine. But in my opinion, since you already have good skin this day, I suggest to keep the makeup light. Enjoy your glowing and supple skin and be proud to show it off bare! -It would cost around Php 4,500 for each session of F.N.T. The treatment would be done by one of Flawless' licensed doctors. -Yes, it is, especially if you have low pain tolerance. The pain won't be felt while you are having the needle treatment since the doctor would apply anesthesia on your face. The pain comes after the treatment but would only last 10-15 minutes. It is when the anesthesia subsides and you start feeling the sting of the pricking of needles. But you can ask the doctor to turn on the fan so the air could help soothe the stinginess. Does it work? How many sessions do I need? -I would suggest having at least 4-6 sessions of F.N.T. to see better results. Once may not be sufficient and the customer may just end up disappointed. Which Flawless branch do you go to? -Nothing is permanent just as how there's no forever. The skin does get better through the help of F.N.T., but if you still get acne spots from time to time, like me, then chances are you also get new spots and new open pores. 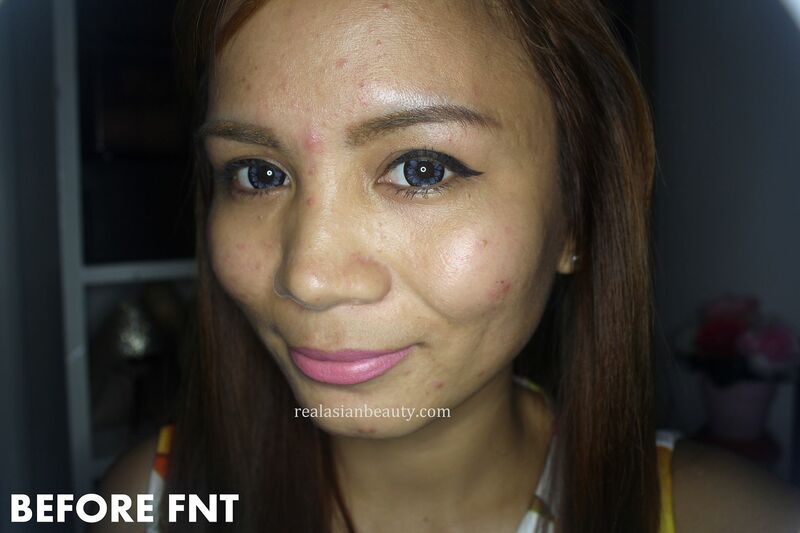 So just to maintain your skin, I would suggest still having F.N.T. sessions at least every 3 months. If you want to know more, you can read my FIRST FNT session here or my FOURTH FNT session update here. For comparison, here's how my skin looked BEFORE and AFTER my 9th F.N.T. session. You can see that the red spots are now gone, no more peeling and my skin is dewy, tight, fresh, appears ligther and the dark spots and some visible spots are less visible! 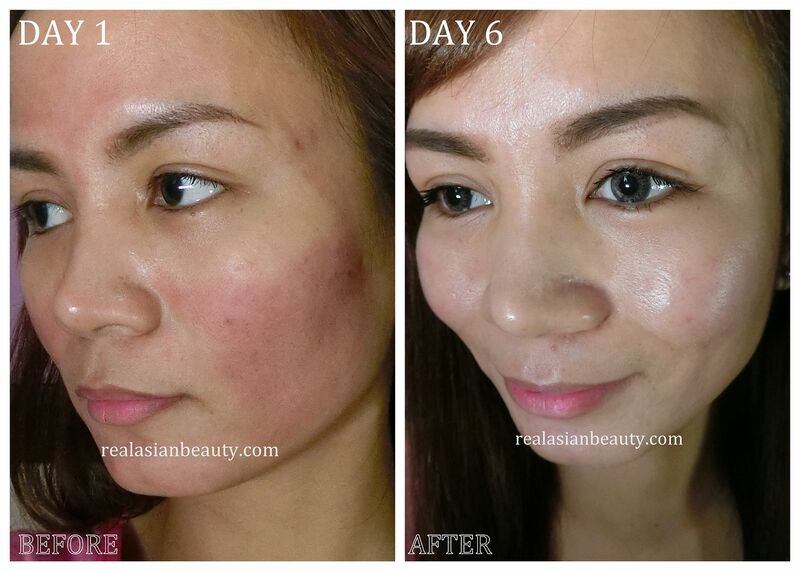 And here's how my skin looks now after NINE SESSIONS of Flawless' F.N.T.! The left photo was my skin before having any F.N.T. treatments. You can see that my skin was darker and I had a lot of active spots and also a lot of dark spots. The area on my forehead also had some wrinkles and the skin looks dry and flaky. After 9 sessions of FNT, and no photoshop, edit nor filter, my skin looks pleasantly brighter and the dark spots are lesser now. I also noticed that the birth mark near my left eyebrow has become less deeper! 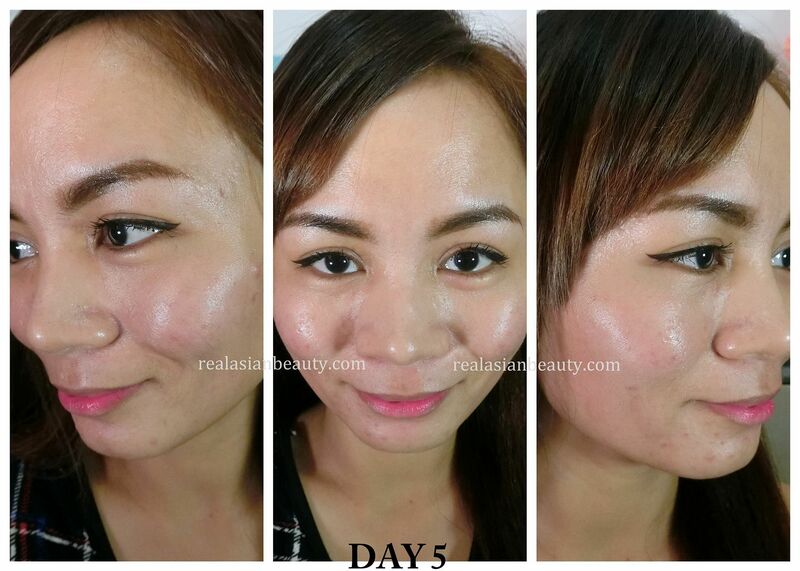 The forehead that used to have wrinkly, dry and flaky skin now looks smoother and tighter! My face also has that noticeably pinkish glow, especially on the cheeks area! Though, some pores on the cheeks are still open and visible, I have to say they are not as big and visible as how they used to be! I am happy and thankful for my skin now! I know I still need a lot of F.N.T. 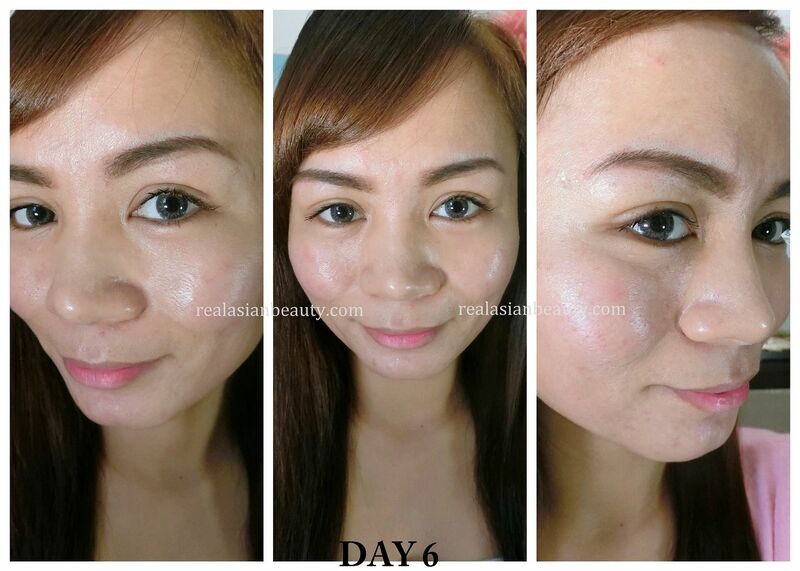 sessions to achieve that beautiful skin that I am praying for. 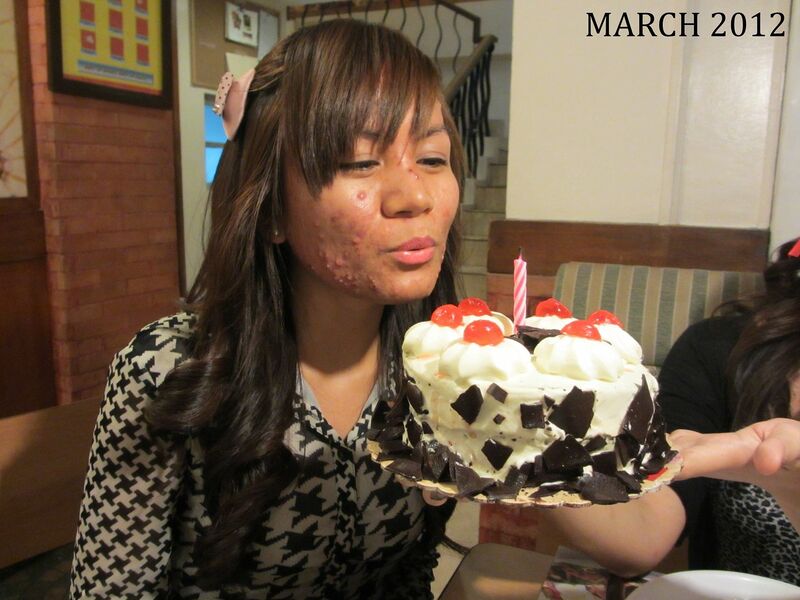 But the skin condition that I have now is not that bad already if you look back at how it looked in 2012! 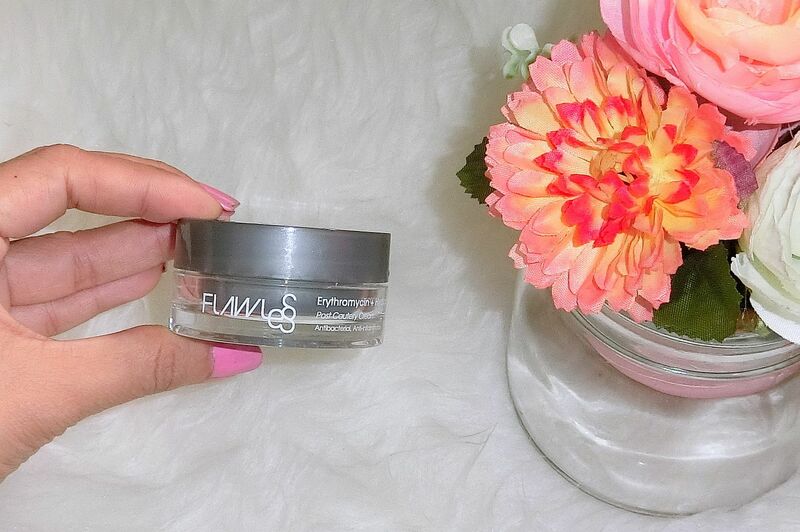 This treatment is one of the treatments that I love getting at Flawless. Whenever I have special occasions or events to attend, I count at least 8-10 days before the big day and make sure to visit my favorite Flawless clinic to get this treatment. Yes, it is pricey! Considering I already had 9 sessions, the total money I have spent already would come down to Php 40,500!!! 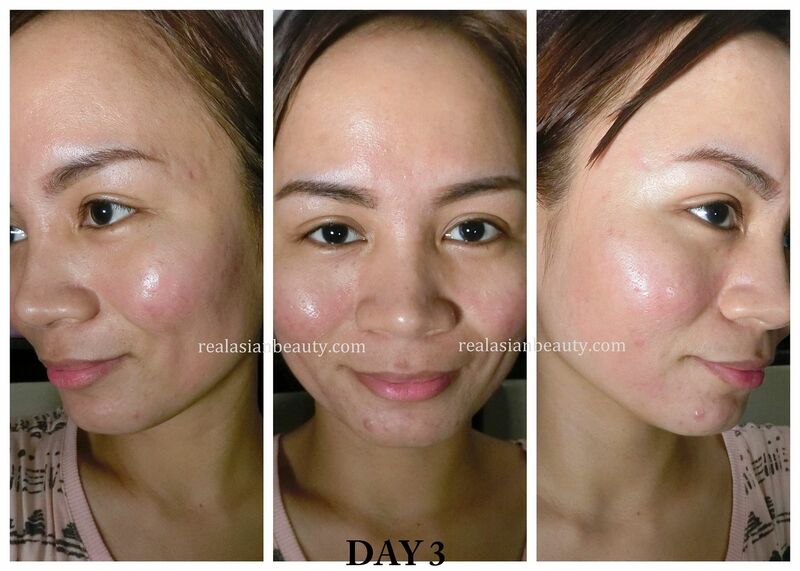 But as I have mentioned earlier, you can have at least 4 sessions of this and then say hello to a better skin. However, I do not recommend this to younger people, especially to teenagers as your skin is still young and delicate. 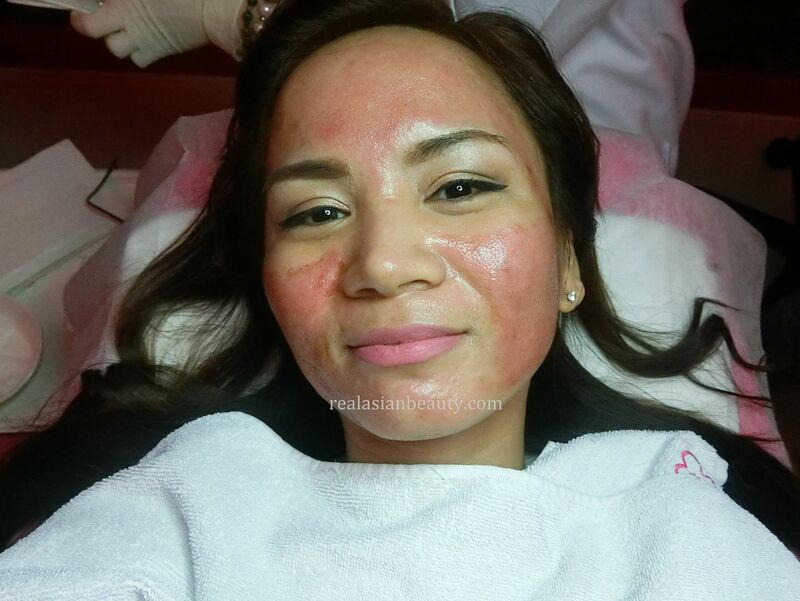 This treatment suits best the people that are my age or older and have serious skin condition. I hope you like this skin update! As always, whatever worked on me may not work on some people. Always consult a doctor or expert (or your parents) first before trying any products or treatments that I review, feature and recommend. Don't forget to leave your comments below for any questions. I respond to comments and messages every Thursday! If you LIKE me on Facebook here, we can also have live chat on Thursdays so you could better ask me for tips and suggestions.